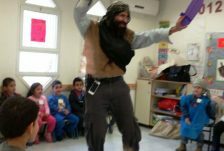 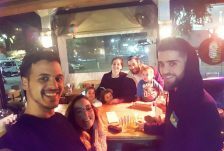 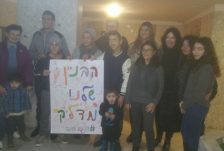 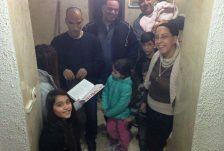 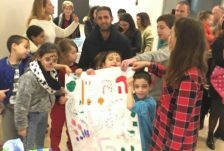 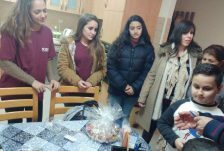 Ben-Yaakov was one of thousands of Israelis across Israel this Chanukah who were brought together by their community center’s Yachad facilitator in the “Binyan Shelanu Madlik” initiative. 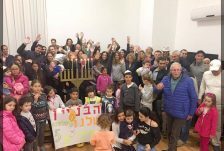 Literally meaning “Our Building Lights ,” the project’s title also implies “Our Building Illuminates,” and captures the feeling of camaraderie that arose from the residents’ joint celebration of their shared heritage. 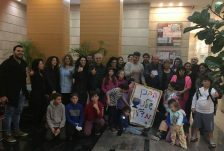 “When you entered the lobby the excitement was palpable,” says Dudu Lederberg, whose family participated in “Our Building Lights” in one of the luxury hi-rises of Netanya. 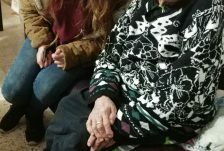 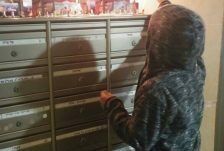 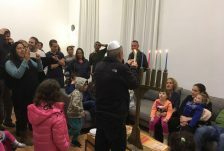 “I have never met most of the other residents, but while we stood around the candles, with the kids learning to play dreidel in the background, we felt like one big family, strong and united,” he shares. 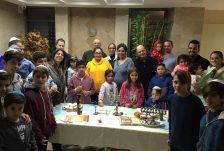 As with all Yachad programming, facilitators tailored the initiative to their respective communities: in some places competitions for the best picture were held, others had magicians, holiday trivia games, or Chanukah crafts for the kids, and buildings with primarily adult populations were provided with guest lecturers on relevant subjects. 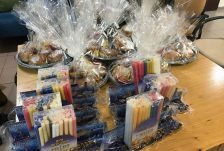 All of the participating buildings received Yachad kits containing a menorah and candles, a page with the blessings and their explanations, suggestions for songs and games, dreidels and, of course, the obligatory jelly doughnuts. 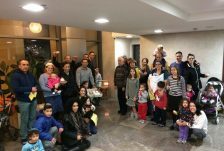 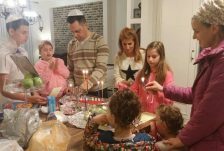 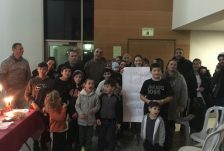 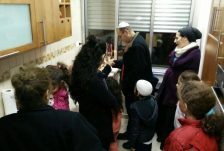 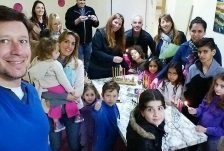 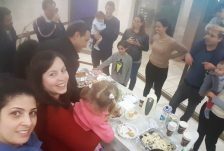 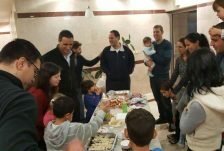 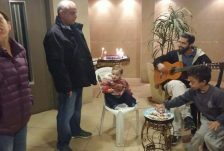 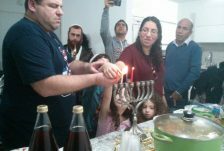 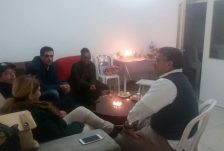 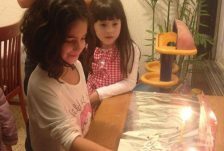 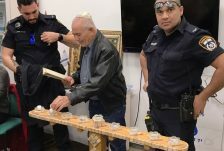 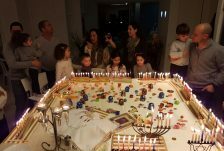 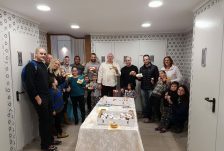 Another Yachad initiative, the longstanding “Ner Mechaber,” (meaning “The Candle that Connects”), unites Israeli families from different sides of the religious or cultural spectrum for candle-lighting and Chanukah-related activities. 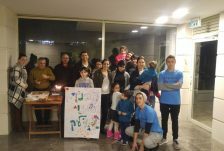 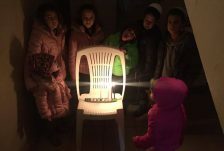 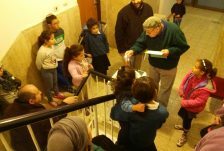 “The idea is to harness the special light of Chanukah to make connections between different people and opposing ideas,” explains Aryeh Engleman, Yachad facilitator in Petach Tikva. 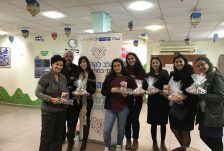 In several communities, Yachad facilitators launched a new initiative designed to bring the light of Chanukah to home-bound seniors and hospital patients. 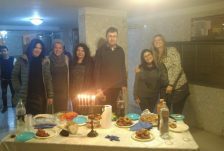 The “Light Brigades” were comprised of leaders and counselors from the local youth groups, who were specially trained by their Yachad facilitators before embarking upon their mission. 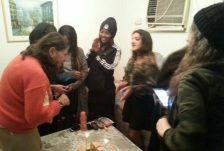 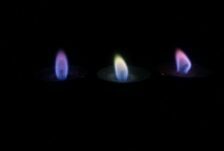 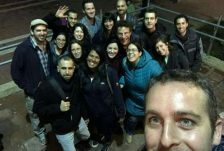 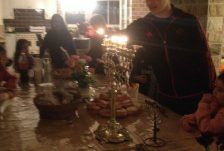 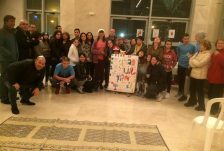 “We brought together secular and religious teens for joint study about the central themes and values of Chanukah, then sent them out to live Judaism and exemplify Jewish values together,” explains Acco facilitator Amichai Cohen. 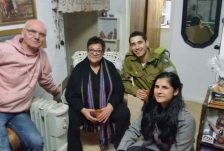 “In one of the homes that we visited, a woman sat alone in her living room. 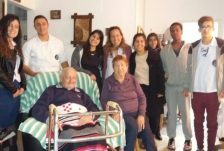 You could tell that she was starved for conversation and company, and you could see we really made a difference in her life,” reported sixteen-year-old Daniel Revivo. 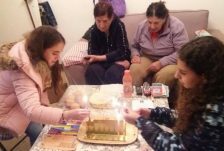 Yachad’s newest Chanukah initiative took place this year against the backdrop of the fires that ravaged the country throughout the month of December: Called “Giborim Madlikim”- literally, Heroes Light the Candles – the project honored Israel’s firefighters for their bravery and dedication. 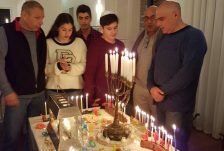 “Chanukah is all about the Maccabees, who rose to a great challenge facing the nation and are thus remembered as heroes,” explains Bat Yam facilitator Roi Peretz. 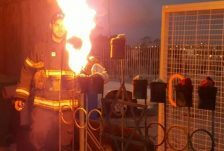 “Our firefighters display great courage and dedication as they protect the people and country of Israel, and for this we recognize them every day, and especially on the Festival of Lights,” he says.